Within just 2 years of the Beauty Lounge being up and running it was pretty clear that we needed more space…specifically a quiet space. Skin & Soul was a concept we came up with to move our microblading services and begin to offer massage, skin care, and even reiki. 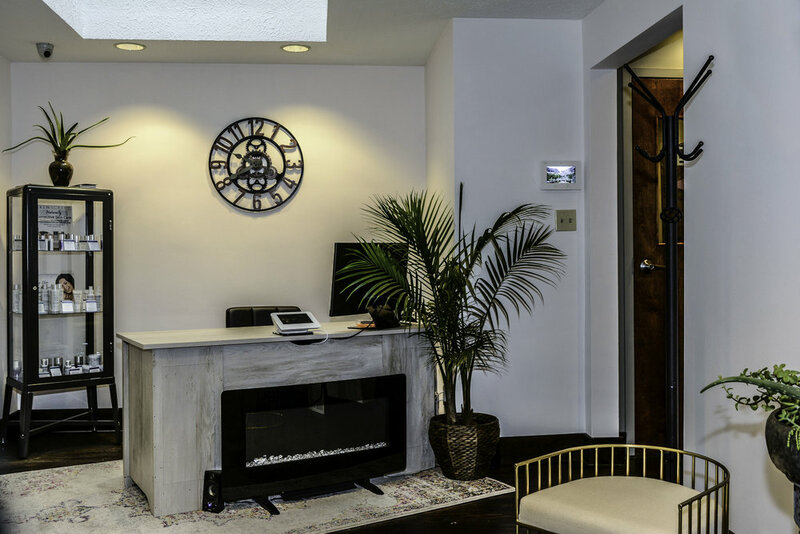 This location has been open since August of 2017 and now has grown in services such as nails, dermaplaning, and permanent hair removal. It’s decor and color palette are reminiscent of it’s big sister, CBL. Come in for a zenful service. Cancellation policy – We ask that you respect our time as we respect yours and in doing so please cancel AT LEAST within 24 hours. Last minute things do come up and emergencies happen; however, we reserve the right to ask for a credit card reservation (amount to be determined based on service) for some clients who cannot respect the appointment process. No show policy - First time bailing with no call is just rude. Second time bailing...unfortunately we will have to no longer take you as a client. We take respect for other people's time very seriously and our staff is not making any money when no one shows. Redo policy – We stand behind our work and most definitely would like for you to make us aware of any concerns so we may make adjustments. These adjustments need to be within 2 weeks of your original visit. We accept cash money of course as well as checks, Master Card, Visa, Discover, and Amex. Tips may not be added to credit card transactions. Thank you. please note: We are closed for major holidays and educational events throughout the year.